(A still from the film, Stories of Our Lives). The poet Audre Lorde once said, "When we speak we are afraid our words will not be heard or welcomed. But when we are silent, we are still afraid. So it is better to speak." This act of voicing one's truth in the face of tremendous hostility is precisely what the filmmakers behind one of the most poetic and masterly cinematic depictions of queer life have done. 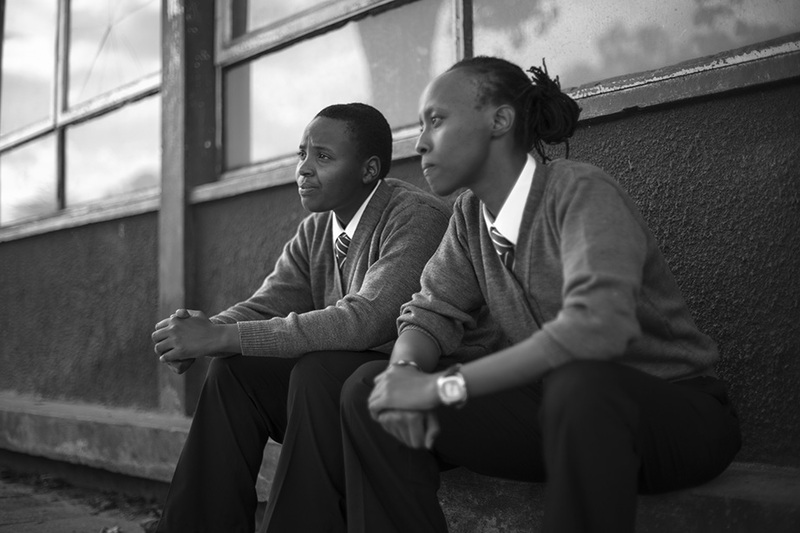 Said filmmakers, Jim Chuchu, Njoki Ngumi and George Gachara of Nairobi-based arts collective The Nest, set themselves the considerable challenge of documenting and archiving the poignant personal stories of Kenya's LGBT community. Although Kenya is far more sexually liberal than its neighbors Somalia and Uganda, homosexuality is still illegal there; a state of affairs that is spiced with violence and gossip-policing, religiosity and morality-mongering. What makes The Nest's film, Stories of Our Lives, which was featured at this year's Toronto International Film Festival, such a mesmeric and immersive experience is that the tales told are everyday stories of what it means to fall in love, what it means to explore one's identity and, ultimately, what it means to be human in a culture where one's existence is derided and repeatedly mocked as representative of the worst of Western traits. "This film is about fighting openly for the right of Africans to have different opinions, different worldviews, different identities and dreams - and for all these multiple identities to co-exist," said Jim Chuchu, the film's director. We decided to reveal our identities as the creators of this film because we believe strongly that the fight for this right to define one's self, this right to be complex and different and unique, should be fought for proudly and openly. The film is not a didactic document but a testament to joy, courage and passion. Filmed on a budget of $15,000, it has the feel of a gorgeously constructed tone-poem that taps into something deeply universal: the desire to belong, the impulse to feel wanted and needed and free. Stories of Our Lives is one of the most triumphant and stunning films of the year.